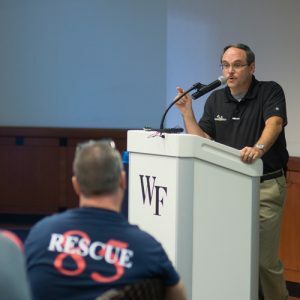 Each year, the federal Emergency Medical Services for Children (EMSC) Program partners with the American College of Emergency Physicians (ACEP) to celebrate Emergency Medical Services (EMS) Week. The Wednesday within the week-long celebration is designated as EMS for Children Day or EMSC Day. 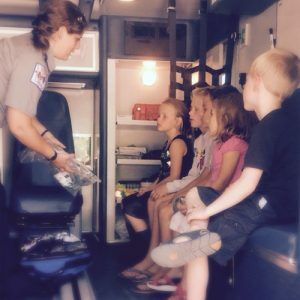 In 2016, National EMS Week is May 15-21 and EMS for Children Day will be held May 18. It features hundreds of grassroots activities coast-to-coast. 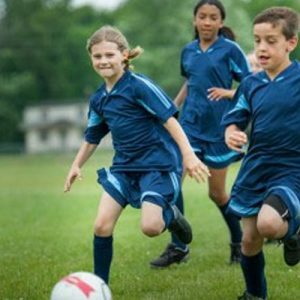 On Wednesday, local communities and medical personnel are encouraged to focus their EMS Week activities on raising public awareness about the need for specialized emergency care for children. 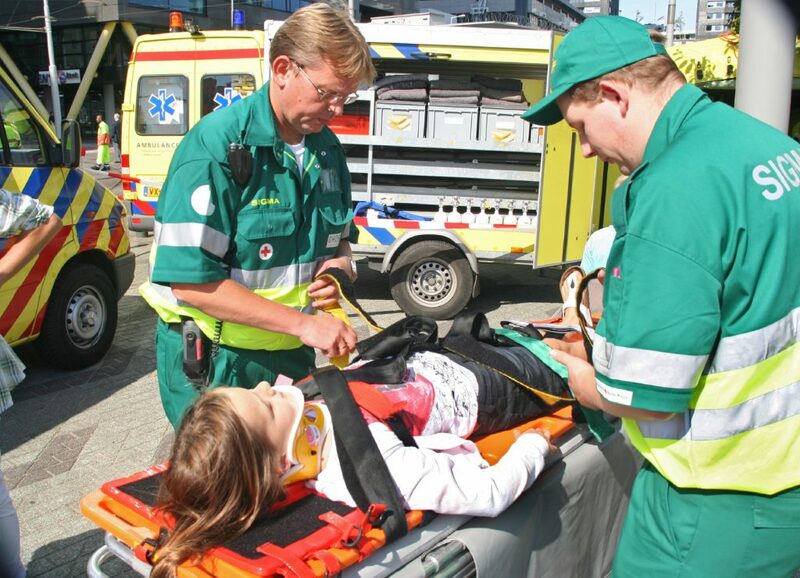 For the last three decades, the Emergency Medical Services for Children Program has successfully raised awareness among healthcare professionals, EMS and emergency and trauma system planners, and the general public that children respond differently than adults – physically, emotionally, and psychologically – to illness or injury. 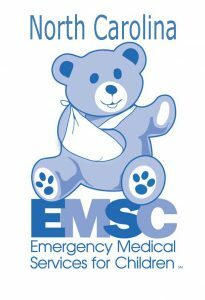 The EMSC Program’s initial efforts primarily focused on addressing easily identified gaps in the quality of pediatric care in both the pre-hospital and acute care setting. In the 1980s and 90s, work centered on pediatric EMS train­ing, establishing pediatric specific equipment lists, and the development of pediatric care guidelines. In 2001, the Program funded a pivotal grant to support the infrastructure for the Pediatric Emer­gency Care Applied Research Network (PECARN). 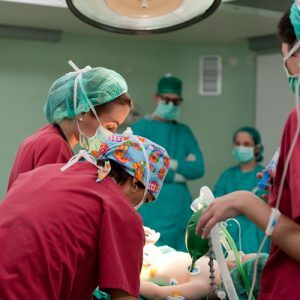 PECARN for the first time, made it possible for large, multi-institutional studies to take place leading to the development of evidence based pediatric protocols. 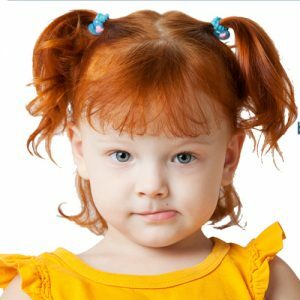 Since 2006, the Program has focused on national performance measures, a set of goals for each state to work towards to assure more consistency in the emergency and trauma care of children across the nation. 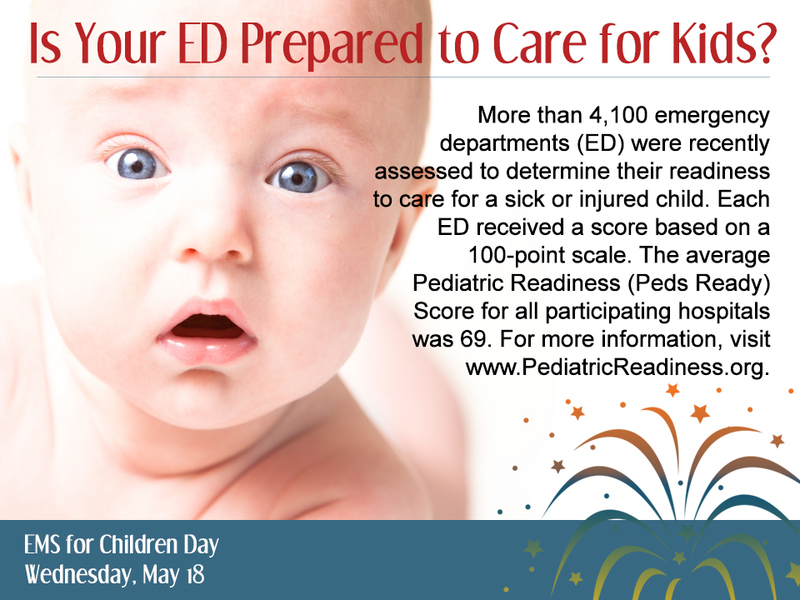 Looking toward the future, EMSC aims to ensure all emergency departments (EDs) are ready to care for children through the implementation of the National Pediatric Readi­ness Project (Peds Ready), a national quality improvement initiative. A heightened focus is also being placed on pediatric regionalized systems of care and pre-hospital pediatric emergency care research. 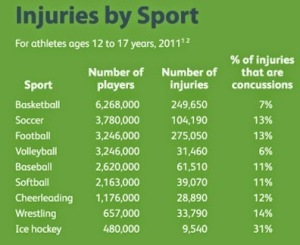 The EMSC Program’s partners are extensive and extremely critical to the program. EMS week is a very special time for us because the program’s goal is to address the entire continuum of emergency care, from the pre-hospital care given by EMS providers to pediatric critical care in the hospital setting to pediatric rehabilitation, as well as injury prevention. Having great partners like ACEP, AAP, ACS, NAEMT, NAEMSO, ENA, and STN helps us address pediatric emergency care where ever it may be taking place. 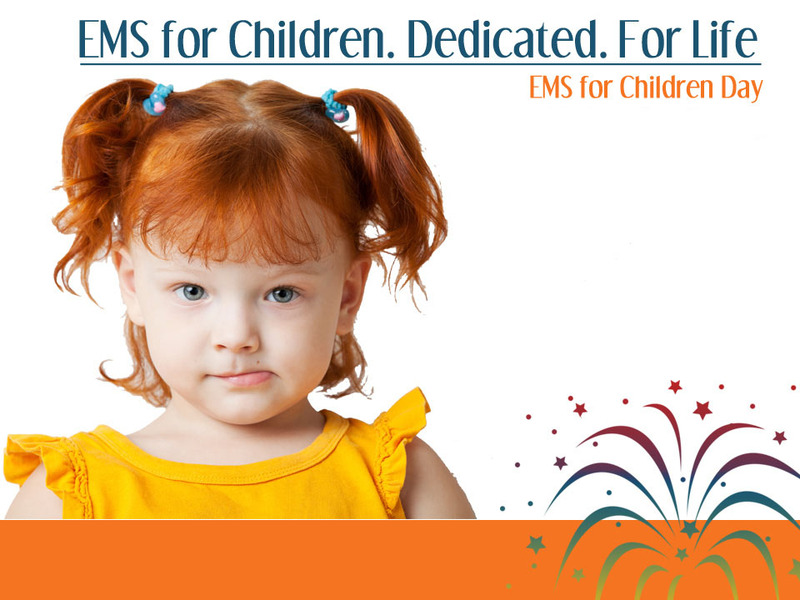 We celebrate EMS for Children Day to recognize the important role that EMS providers play in the care of injured children. 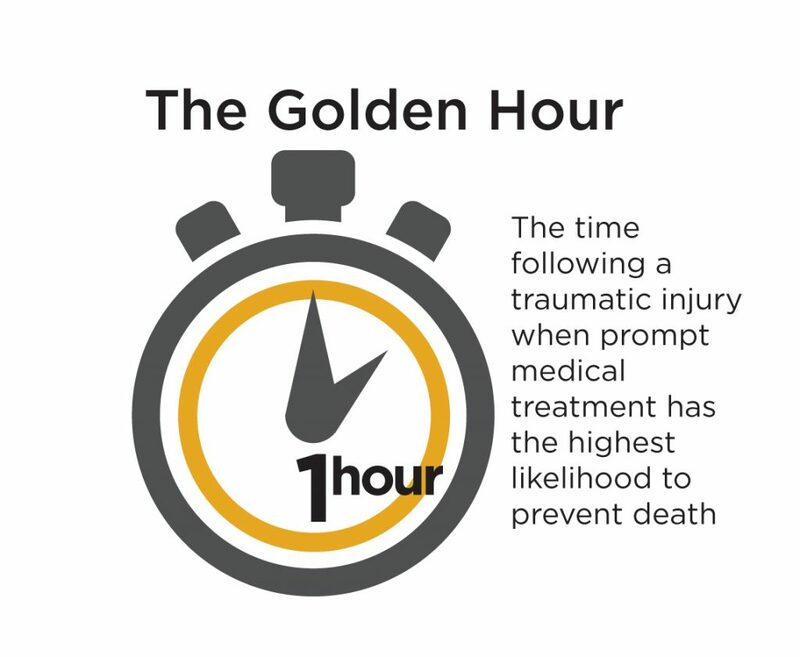 This is a perfect opportunity for states, the general public and other organizations to say thank you to those who reach our children first when injury occurs. To honor EMSC’s achievements and learn more about EMSC Day, please visit our site. There are celebration and appreciation ideas for EMS and health care professionals, as well as fact sheets for the general public. There is also artwork for sharing on social media and some child activity sheets. Supporters can share a proclamation with governors and regional legislature to proclaim EMS Week.